The back pain that I had when I started at Finetune is history. If pain, fatigue, postural imbalances, illness and stress are impeding your body’s innate healing process and diminishing your capacity to live fully, then a movement practice that meets you where you are and recognizes your inherent vitality can rekindle your natural capacity to heal. At finetune pilates, our first goal is to look at the physical challenges your are facing in relationship to the many valuable resources that you already possess. The miracle of the body is that usually so much more is going right than we realize. Recognizing this allows us to use our body’s innate intelligence to regain strength, integration & resiliency. While illness and injury do ask us to pay attention, they can also limit our perceptive abilities. Therefore our second goal at finetune is to give you a consistent experience of moving without pain. Moving with ease & comfort in a body that has felt stuck in limitations is a joyful and confidence building experience. Freedom from pain allows you to listen well to your body’s messages, and respond wisely to its needs. 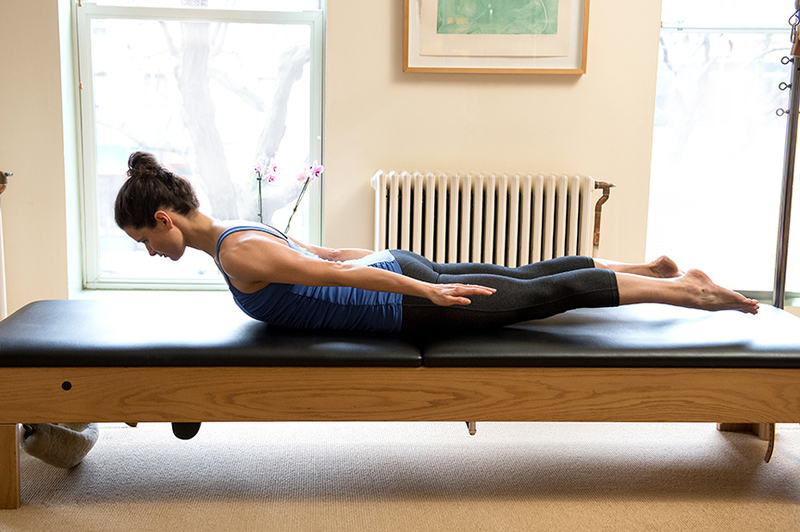 Our clients find that Pilates helps them manage their body’s response to both acute and chronic issues including arthritis, scoliosis, osteoporosis, stenosis, disc herniation, and mood disorders, as well as post-surgical and post injury rehabilitation. Our holistic approach will help you recover a sense of integration & functional strength so that you can return to enjoying your daily activities as soon as possible. If you are coming to Pilates to address a physical challenge, you may have been frustrated trying to address your symptom at its location. At finetune pilates, we believe that the local site, where the body is actually complaining, may be the result of a more global issue. The pain in your hip, for example, may have a direct relationship to the way you are standing on your feet. To relieve your symptoms we guide your body toward structural harmony, perhaps addressing the origin of the pain surprisingly far from the seat of your discomfort. Leaving your session feeling better than when you walked in, you can begin to integrate these discoveries into the way you move through life.